People often point to comics of decades past as safe, wholesome experiences that perpetuated that era's emphasis on a more innocent brand of entertainment. 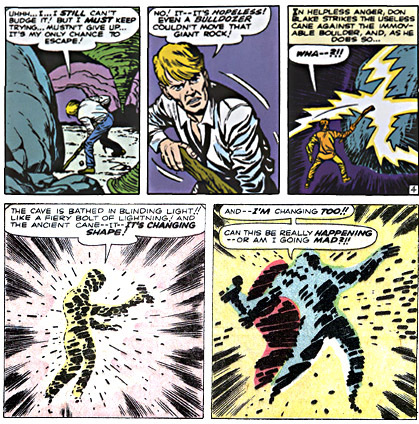 A team of comic book scholars (okay, it was just me) recently stumbled across a hidden cache of vintage comic book pages that were obviously deemed unacceptable by the Comics Code Authority. "Silver Age Outtakes", if you will. The first, and quite possibly strangest page appears to have been taken from a Superboy story, though the year and issue number range are unclear (our best guess is somewhere between 1962 and 1964). From what we can gather, a routine "Origin of Superbaby's Costume" story suddenly takes a disturbing, and ultimately tragic turn. So, sit back and enjoy this "lost episode" of Superboy (Warning: Some of the following material contains violence and adult themes, and may be inappropriate for your inner child). 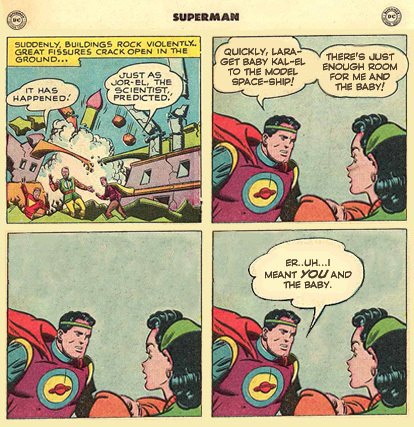 Silver Age Outtakes: The Destruction of Krypton! 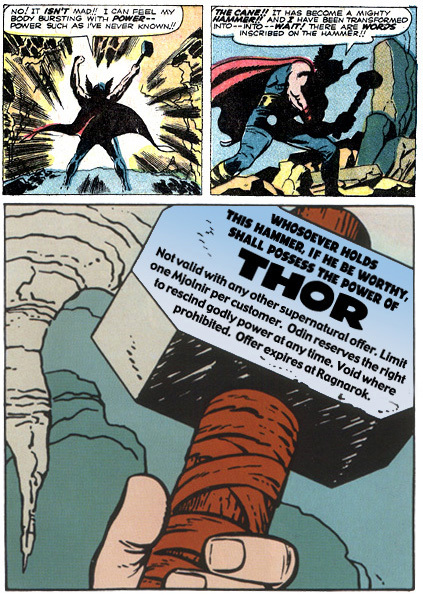 Silver Age Outtakes: The Origin of THOR! featuring the Origin of Thor!